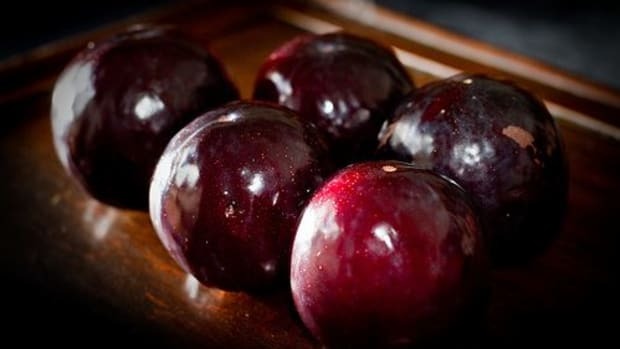 You may think pluot sounds weird, but this fruit&apos;s varieties are among the strangest: Choose from a Flavor Grenade, Dapple Dandy, Flavorglo, Dinosaur Egg, Hand Grenade or Last Chance, among others. 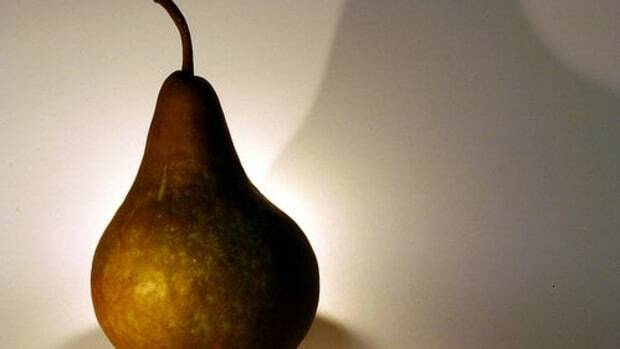 Perhaps these less-than traditional names are owing to this fruit&apos;s newcomer status. 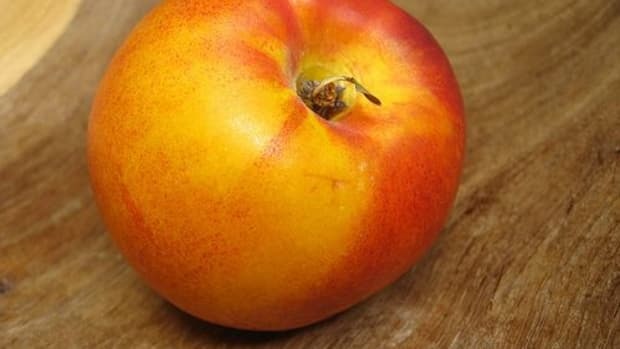 In fact, the name "pluot" is trademarked by plant geneticist Floyd Zaiger, who developed the hybrid stonefruit just 20 years ago; they&apos;re 75% plum and 25% apricot. Pluots range in color among the several varieties and are sweeter than both of their parents. When looking for pluots, the farmers market will certainly be your best bet, seasonally of course. 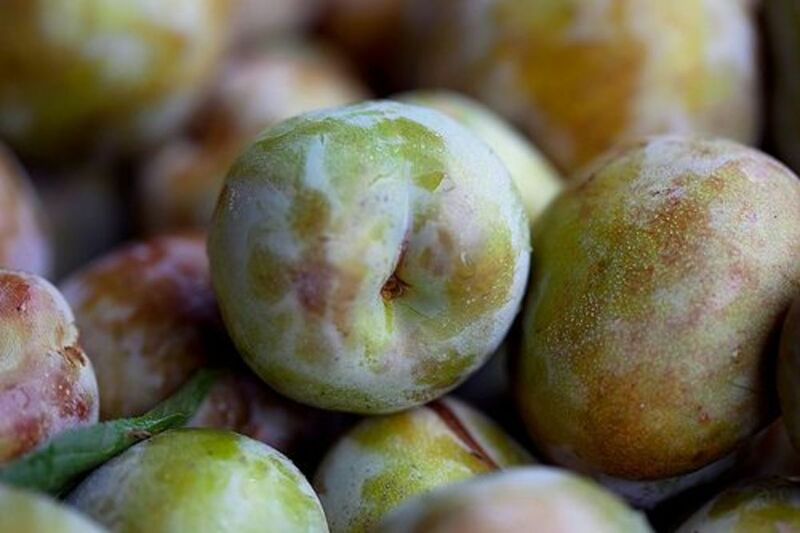 Select firm, ripe pluots that are free from any bruising or cuts. 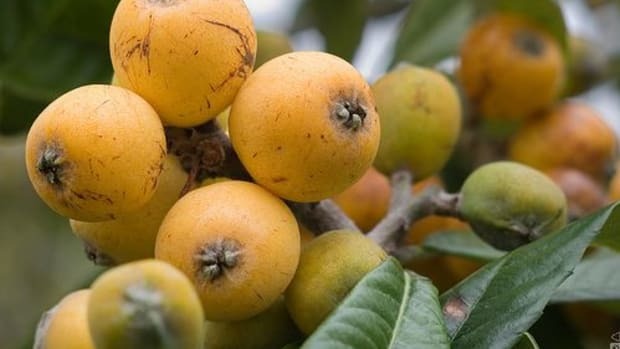 You&apos;ll know when they&apos;re ripe as the fruit gives to pressure and is very fragrant. You can also ripen your plutos at home in a loosely-closed paper bag at room temperature. 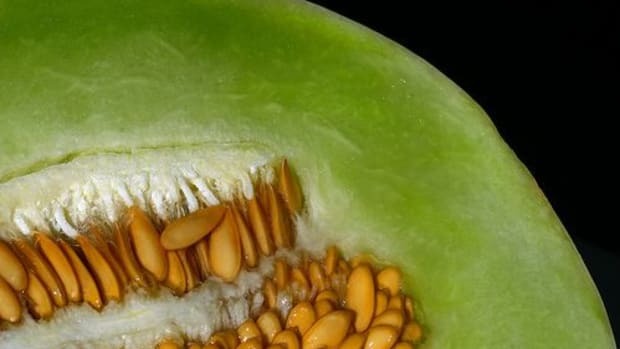 Once they are ripe, store them in the refrigerator for up to four days. Ripe stone fruit is super fragile, so handle with care and never pile pluots on top of one another. Capitalize on the super sweetness of this fruit by simply enjoying them out of hand (best at room temperature!) or adding them to sweeten yogurts or cereals. Pluots can stand in for plums or apricots in almost any recipe, and might even shine brighter. They&apos;re delicious in baked goods or as the base for fruit salsas, marinades or a piquant barbecue sauce. 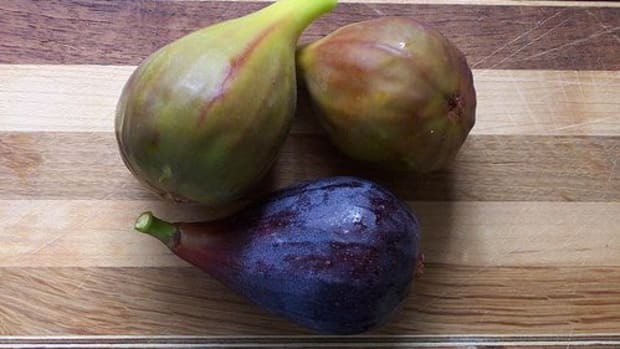 Slice them and add to couscous and salads, or make a beautiful sorbet with them. Add chunks of pluot to your vanilla ice cream for a yummy treat. It stands to reason that a pluot would share a mixture of the health benefits of its parent fruits - the plum and the apricot. In fact, they are even healthier (although they are very sweet)! Plouts contain neochlorogenic and chlorogenic acid which are phytonutrients that function as antioxidants in the body, scavending for free radicals. 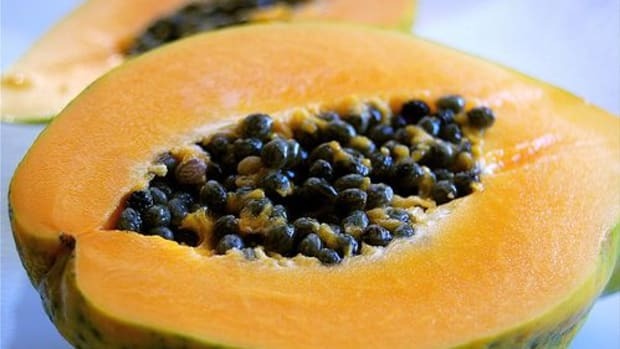 They also contain carotenoids and flavonoids that help maintain good eye health and can help protect against cancer and heart disease. Plus, they&apos;re a great source of vital nutrients such as vitamins C & A, potassium and dietary fiber. 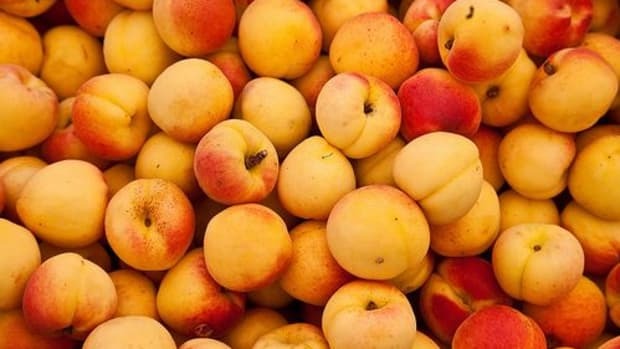 Conventionally-grown stone fruits are often coated with a petroleum-derived wax containing a fungicide to prolong their shelf life, a chemical substance that simply cannot be washed off! And that&apos;s in addition to any pesticides that may have been sprayed during their cultivation. Whenever possible, seek out organically-grown pluots. That way you ensure the farmers who grew your pluots are dedicated to sustainability, your health and the quality of their product.